The software giant has shown a significant appetite for M&A in recent years and has a huge market cap and plenty of cash. Here are a few public and private companies that could be good fits for Microsoft. 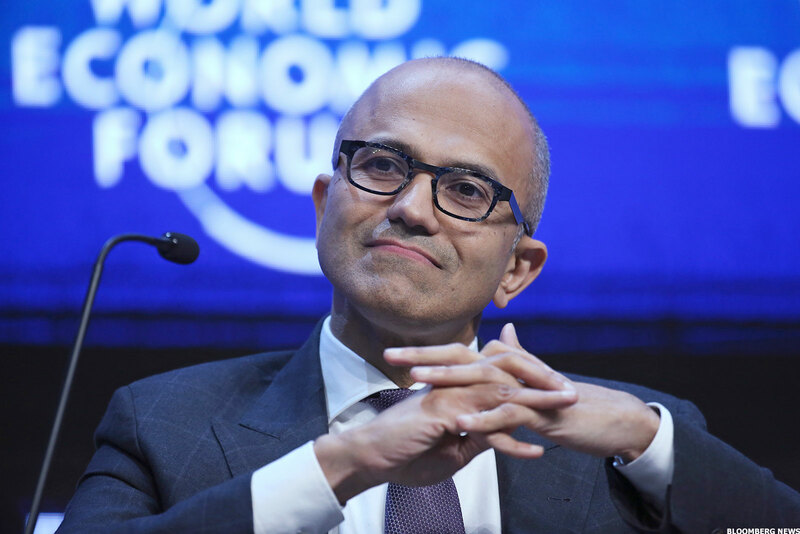 Since Satya Nadella became CEO of Microsoft Corp. (MSFT - Get Report) in early 2014, he's shown he's not afraid to open the company's purse strings in pursuit of growth and synergies. While Microsoft's $26.2 billion 2016 purchase of LinkedIn gets the most attention, the software giant has bought over 40 companies of various sizes during Nadella's tenure -- notably, a $2.6 billion purchase of Minecraft developer Mojang, a $320 million purchase of cloud app security firm Adallom and an acquisition, reportedly for $400 million to $500 million, of leading mobile app development tool provider Xamarin. Two years ago, Microsoft was reportedly willing to offer $55 billion to buy cloud CRM software leader Salesforce.com Inc. (CRM - Get Report) . While those talks ultimately fizzled out because Salesforce (now worth $77 billion) wanted a higher price, they did suggest that Microsoft is willing to open up its checkbook to buy a leading enterprise cloud app (SaaS) provider. The LinkedIn deal was arguably a SaaS play, depending on how one looks at LinkedIn's recruiting and social selling tools. But it wouldn't be shocking if Microsoft, whose Dynamics business apps are more likely to be used by small and mid-sized firms than larger enterprises, felt it was worth making another move to significantly grow its enterprise SaaS footprint. If it did, Workday Inc. (WDAY - Get Report) and ServiceNow Inc. (NOW - Get Report) , as the largest SaaS pure-plays not named Salesforce, could catch its attention. Workday, worth $23 billion, is the top provider of cloud human capital management (HCM) and financials apps for enterprises, and it has also rolled out analytics tools and apps meant for universities. ServiceNow, worth $22 billion, is the top provider of cloud-based IT service desk software and is also now a meaningful player in the IT operations management (ITOM) and IT business management (ITBM) software spaces. Buying the company would extend Microsoft's reach within corporate IT departments and yield some synergies with the company's System Center systems management software platform. Microsoft CEO Satya Nadella has not shied away from making big deals. Twilio Inc. (TWLO - Get Report) , the top provider of cloud-based communications services for websites and apps, continues to trade more than 50% below its 2016 highs thanks to worries about tougher competition and efforts by certain big-name clients (such as Uber) to shift to in-house communications tools. But Twilio still has quite a few blue-chip clients, and at its current market cap of $2.4 billion (less than five times expected 2018 sales), some deep-pocketed suitors might want to take a look. Microsoft could add Twilio to the long list of tools and services it provides to cloud and mobile app developers. It could also lower Twilio's infrastructure costs by hosting its services via Microsoft's Azure cloud infrastructure (for now, Twilio relies on Amazon Web Services for its cloud infrastructure needs). Docker controls what's by far the most popular software platform for creating and deploying what are known as server app containers. Thanks to their resource efficiency and the speed at which they allow apps to be tested, deployed and moved around (including between different clouds), container adoption has grown like wildfire over the last few years. Microsoft has already partnered with Docker to have Docker's core software (often used for Linux apps) support its Windows Server OS. And in 2016, Microsoft was rumored to have offered as much as $4 billion to buy Docker. With Docker having recently closed a funding round valuing it a relatively paltry $1.3 billion -- the popularity of Kubernetes, a Google-developed product for managing Docker and other container tools, could be weighing on Docker's valuation -- Microsoft might want to take another look. That's particularly the case given Microsoft's interest in appealing to cloud developers. DocuSign, valued at $3 billion in a 2015 funding round, is the top provider of electronic signature software and services (Adobe Systems Inc. (ADBE - Get Report) is #2). DocuSign claims a large enterprise client base and developer ecosystem, and has been gradually expanding its platform to cover things such as online payments and complex workflows that feature signatures. Microsoft has a long-standing partnership with DocuSign to integrate DocuSign services with Office apps, as well as to support DocuSign workflows involving Microsoft apps. If it bought DocuSign, Microsoft would have plenty of chances to cross-sell DocuSign subscription plans to Office 365 customers, and could also perhaps add some basic DocuSign services to its corporate Office 365 plans. Editors' pick: Originally published Nov. 22.